Giuliani’s comments came after a BuzzFeedNews.com report that, citing two unnamed federal law enforcement officials, alleged Trump had personally directed Cohen to lie to Congress about the Moscow talks. BuzzFeed said that special counsel Robert Mueller had evidence about the matter. 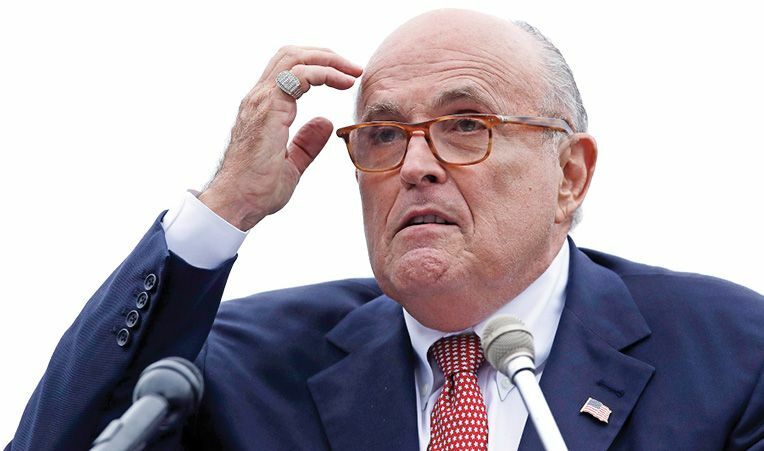 But in a rare public statement, Mueller’s office called the report “not accurate.” The president was reportedly frustrated with Giuliani for taking the spotlight away from Mueller’s statement, which deflated Democrats who had touted the allegations as an impeachable offense. Giuliani’s flub came just days after he had to walk back another interview in which he said that while he stood by past statements that Trump did not collude with Russia, “I never said there was no collusion between the campaign” and Moscow.